Nanotechnology. 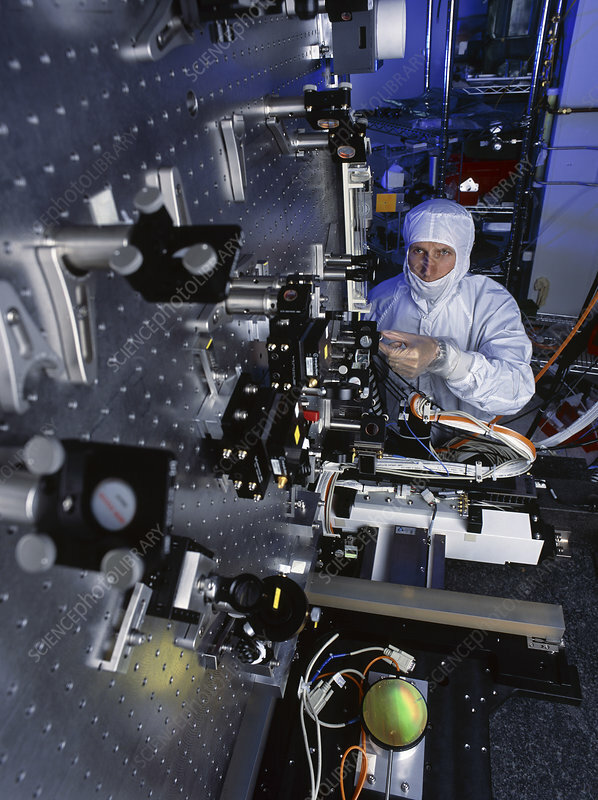 Researcher with a scanning beam interference lithography (SBIL) machine. This is used to create gratings and grids with structures on the scale of a few nanometres (billionths of a metre). The gratings created on this scale are used in astronomical telescopes such as the orbiting Chandra X-ray telescope and the Solar and Heliospheric Observatory (SOHO) satellite. SBIL uses a laser beam to create the pattern on the target surface. This allows for very precise control over the pattern. The SBIL could have many uses in the future as a source of nanotechnological components for computers and machines. Photographed at MIT, USA, in 2002.